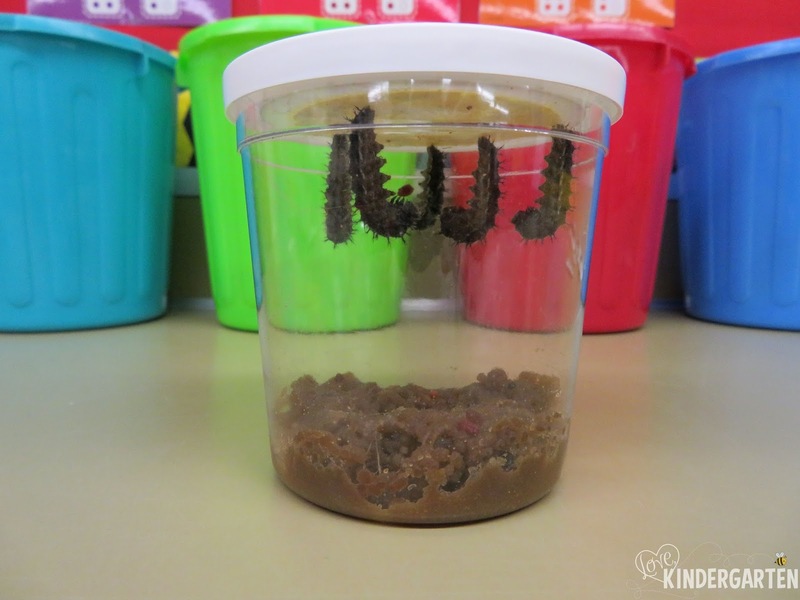 Our batch of caterpillars arrived on April 27. They were teeny tiny!! 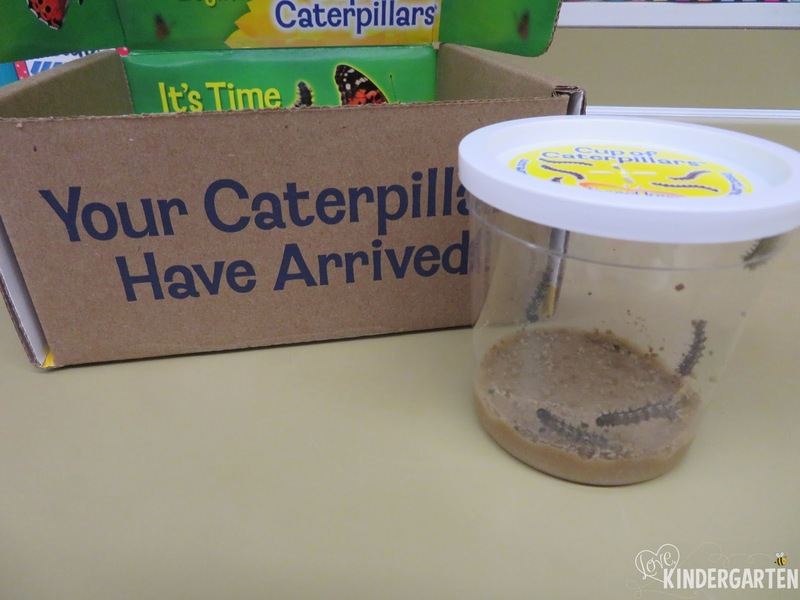 They traveled all the way from California which the kids found really exciting. We have enjoyed watching them eat and grow for the past week. 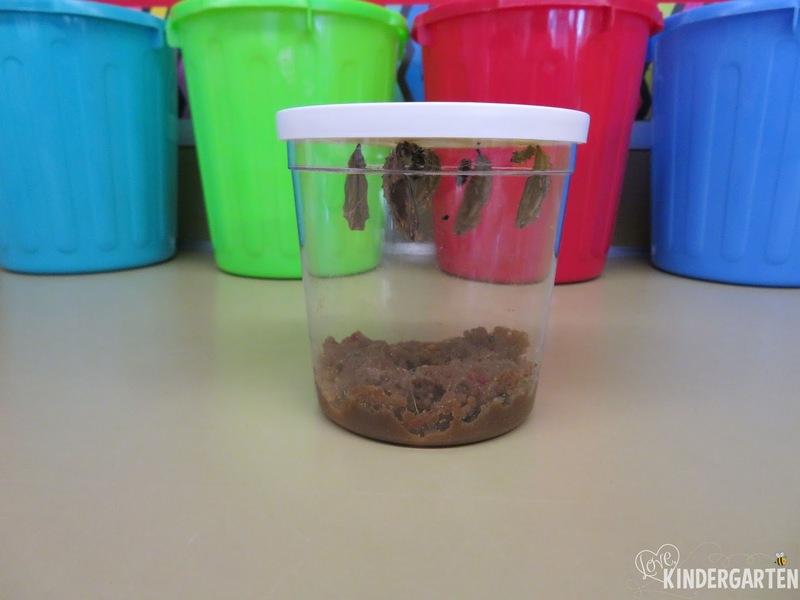 When we arrived yesterday, all of the caterpillars were in the "J" position which meant it was time to spin their chrysalis. 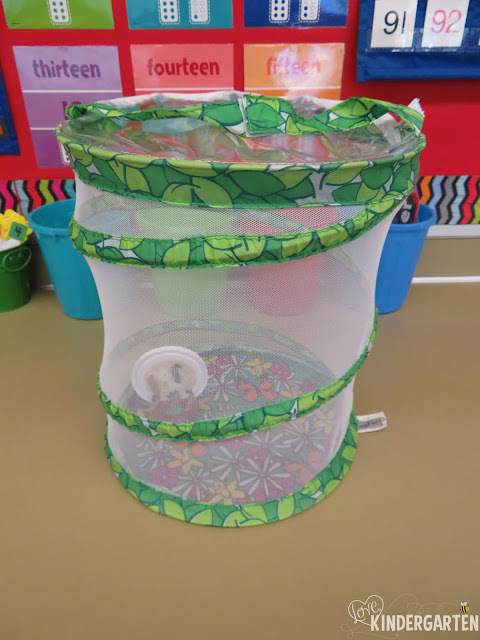 They have all done that now and we transferred the group to the butterfly net. We'll keep watching and waiting for wings! I'll update you as soon as this happens.